I don't much believe in yearly resolutions because most people don't keep them for more than a month. They are usually about money, weight loss, exercise, etc. They never seem to be about living a better life, giving more of oneself, making time for family and friends, living more, making memories, etc. 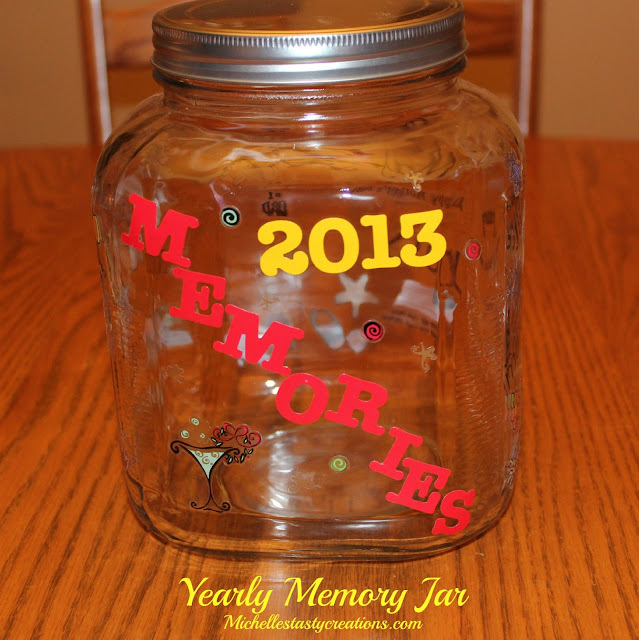 So Jess and I decided to make a Memory Jar for 2013. 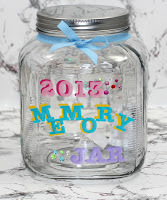 We went to Target and bought these large jars, then we got out our scrapbooking stickers and started to decorate. I used the alphabet stickers to spell out Memories 2013 and then I decide to make each side a four month design using the month names and stickers to represent the holidays that coincide with each month. Go to the movies - add the ticket stub and write who you went with on the back. Go out to dinner - add the receipt or a business card from the restaurant and who you went with. Celebrate a birthday - add the invitation or something from the party and a note about the party. Celebrate a holiday - add something from the day and a note about the celebration. 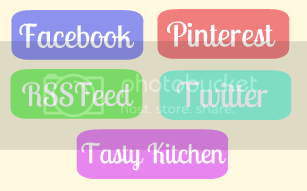 Go bowling with friends - add the score card or info or print a picture and write on the back. Go to a sporting event or concert - add your ticket and a note. Take a trip - add a souvenir or a guide pamphlet. Have something big happen - write it down and add it to the jar. On New Year's eve of 2013 we will sit down as a family and read about all the things we did this year. 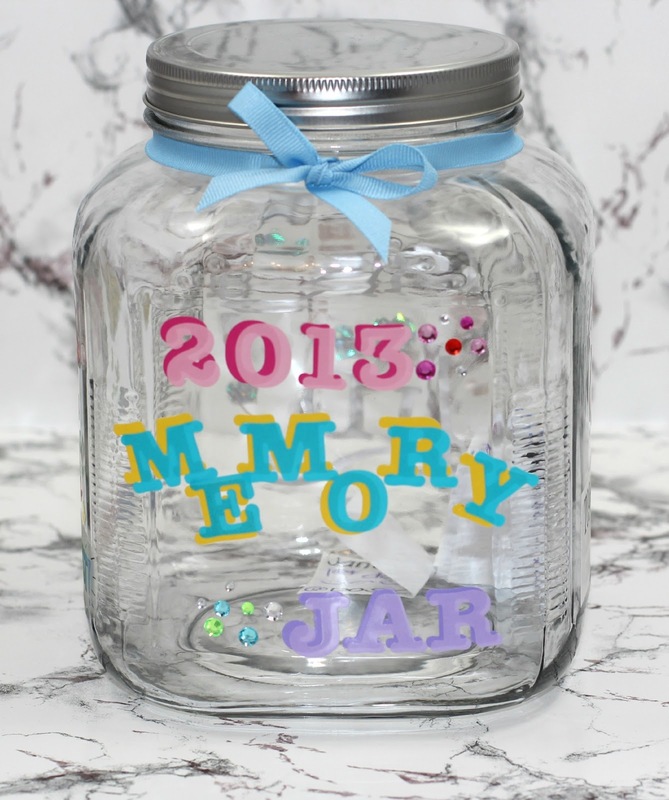 Have fun making your Memory Jar! What a great idea Michelle! I think I will be making these jars for friends' birthday's.